The following article was written by Liz Tynan, Senior Lecturer and Co-ordinator Research Student Academic Support, James Cook University, and published on “The Conversation”. Occasionally I give guest lectures to undergraduates about Maralinga. In most cases, the students have never heard of the place. A small number may have heard the word, but don’t know what it means. This lack of knowledge about the British nuclear tests in Australia is not surprising. The tests were not part of the national conversation for many years. 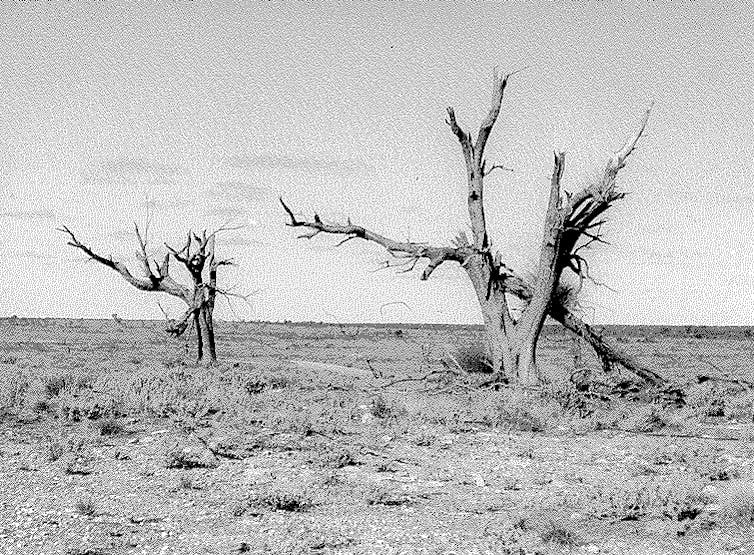 Even when older people remember that nuclear tests were held here, no-one knows the story of the most secret tests of all, the ones that left the most contamination: Vixen B.
Maralinga is a particularly striking example of what can happen when media are unable to report government activities comprehensively. The media have a responsibility to deal with complex scientific and technological issues that governments may be trying to hide. While Maralinga was an example of extreme secrecy, the same kind of secrecy could at any time be enacted again. With the Edward Snowden case, we have seen what can happen when journalists become complicit in government secrecy, and we have learned the press must be more rigorous in challenging cover-ups. 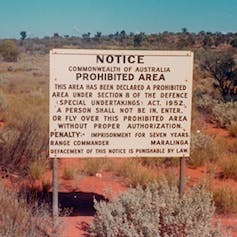 At Maralinga, part of our territory became the most highly contaminated land in the world. But the Australian public had no way of granting informed consent because no-one knew it was happening. Remediating the environmental contamination was delayed for decades for the same reason. While arguments might be mounted for the need for total secrecy at the time (although these arguments are debatable in the case of Vixen B), there was no reason to keep the aftermath totally secret as well. The British nuclear test program ran for 11 years, from 1952 to 1963, at the Monte Bello Islands off the Western Australia coast, and Emu Field and Maralinga in the South Australian desert. A total of 12 “mushroom cloud” bombs were exploded: three at Monte Bello, two at Emu Field and seven at Maralinga. These were known as the major trials. The tests of far greater consequence were the 12 Vixen B tests, only held at Maralinga. These experiments used TNT to blow up simulated nuclear warheads containing a long-lasting form of plutonium. Vixen B scattered 22.2kg of plutonium-239 around the Maralinga test site known as Taranaki. This form of plutonium has a half-life of over 24,000 years. The extreme persistence of radiation and the threat of cancer posed by inhaling small particles in dust at the site make it especially dangerous. The British carried out some clean-up operations after Vixen B and provided a report (by British physicist Noah Pearce) in 1968 that made claims about the level of plutonium contamination at the site. 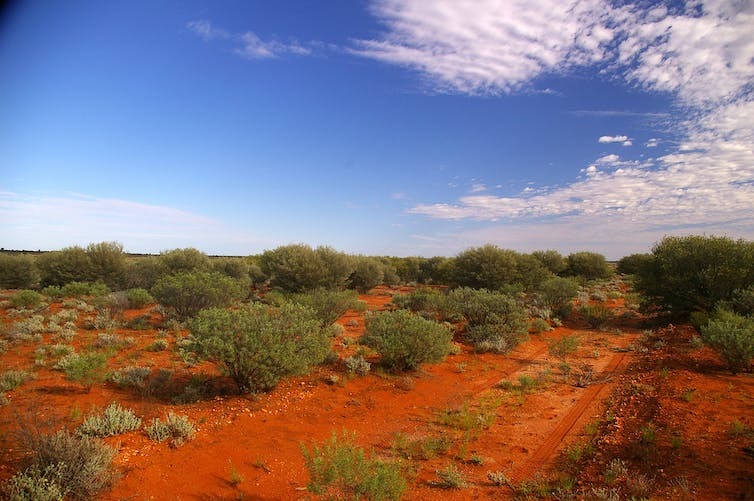 The Pearce report provided the technical basis for the Australian Government to release the UK from any further liability for the Maralinga site. The errors perpetuated by the Pearce report resulted in considerable confusion and misinformation about plutonium contamination at Maralinga for many years. The contemporary media missed Vixen B completely. The authorities had prepared a carefully-worded media statement to issue if any journalist became curious about the continued activity at Maralinga long after the major tests had ended. That statement was not used, because no-one came looking for many years. By the late 1970s, the Menzies era compliance was gone and some resourceful investigative journalists who would not follow the official line were rising. Maralinga would not stay secret for much longer. Political scrutiny also stepped up. Momentum began to build when ALP politician and then deputy leader of the opposition Tom Uren asked a question of the Minister for Defence, Jim Killen, in Parliament in December 1976. One of the most significant outcomes was a secret Cabinet submission tabled in September 1978, titled “Plutonium Buried Near Maralinga Airfield” (this plutonium was from an earlier experiment than Vixen). The investigative journalist Brian Toohey ran a series of stories in the Australian Financial Review in October 1978, based in part on the leaked Cabinet submission, and was denounced in Parliament by Killen as a result. Ian Anderson’s 1993 New Scientist story, “Britain’s dirty deeds at Maralinga”, revealed the extent of plutonium contamination at the site and the fact that the true level of contamination had been known by the British authorities but covered up. Australia was not a nuclear power. The country was in a highly ambiguous position – the staging ground for nuclear weapons testing carried out with great secrecy and control by another nation, the “mother country” herself. This made Australia, at least initially, curiously powerless and inept in dealing with the tests, particularly the most dangerous tests held at Maralinga, Vixen B. The absence of media coverage and public debate created a gap in most people’s understanding of Maralinga that persists to this day. Liz Tynan is presenting a paper on aspects of the British nuclear tests at the 24th International Congress of History of Science, Technology and Medicine in Manchester.